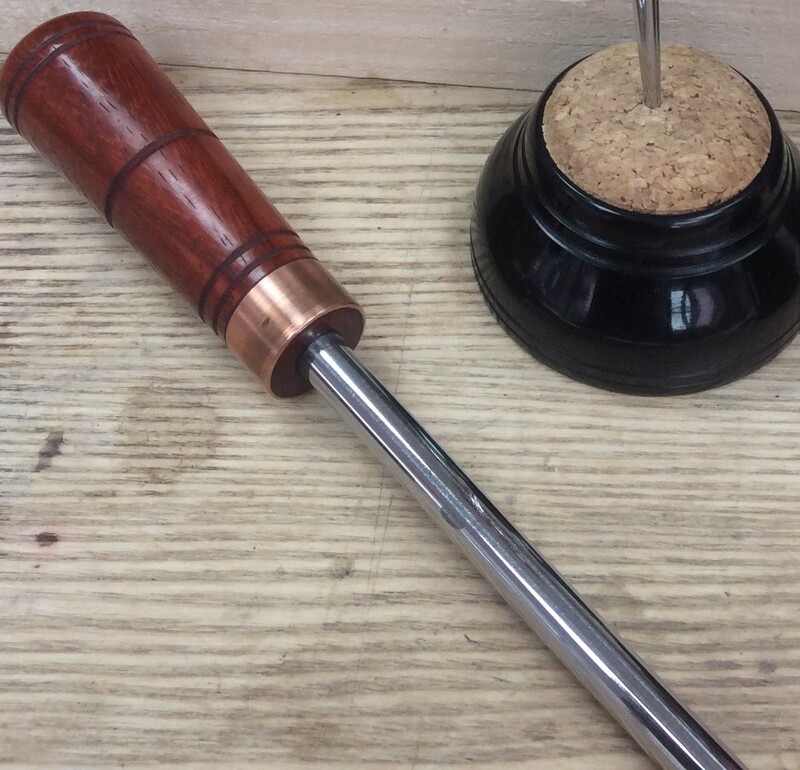 An individually hand crafted burnisher made in Leicestershire, England. Fully hardened silver steel using a traditional charcoal forge and then polishing to a mirror finish. The handle has been hand turned from your choice of hardwood and finished in pure shellac French polish topped with Carnauba wax and buffed to a high gloss shine, the tool is completed with a polished copper ferrule.